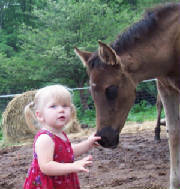 Home | Farm History | Meet The People Of Foxwillow | Stallions | Reference Sires from our Arabian Program | Mr Renegades Go Boy-MFT Stallion | Cotton Eyed Joe Y | Missouri Foxtrotter Mares | Sale Page 1 | Riding Horses For Sale | Paso Finos | 2005 Foals | 2006 Foals | 2007 Foals | 2008 Foals | 2009 Foals | 2010 Foals | 2011 Foals | 2012 Foals | 2013 Foals | 2014 Foals | 2015 Foals | 2016 Foals | 2017 Foals | Kids And Horses- New Pics! | NEWS | AKC Boxer Dogs | 2006 Boxer Pups For Sale | 2007 AKC Boxer Puppies for Sale | 2009Boxer Pups For Sale | Greener Pastures | Links | NEW! Favorite Photos | Favorite Photos 2 | Favorite Pics 3-NEW!! | Favorite Pics 4-NEW!! 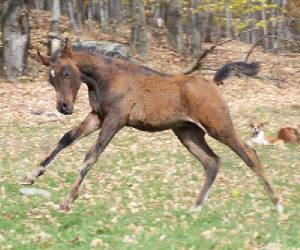 Born April 14, 2005 (Saba Mashaali-IWT Ladyhawke) Probably one of the most beautiful fillies we have ever bred, tall, exotic, lots of substance and oh boy can she trot! She always has her tail over her back as she moves, life is a true joy for this little girl. She is no longer for sale as we are retaining her for our breeding program. 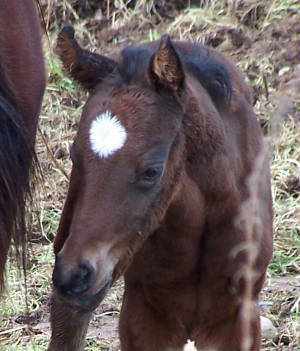 Born February 28, 2005 (ASA Ebony Pharoah-Nesma el Bahr) our first foal of the season, gorgeous black filly with a large elongated star, snip and three white socks, lots of substance, definitley her father's daughter! Her dam is one of only two purebred daughters of Sophiras Amir our foundation stallion. This cute little girl is a rich blend of Polish and Egyptian lines with a touch of Crabbet, including Almawardy, Fadjur (2 X), Touch of Magic, Port Bask, and Abu Farwa. Sold to Jennifer Peotter. Born November 27, 2005. Sired by Saba Mashaali out of the beautiful Khemosabi daughter TOF Khedance. Known as "Shady", this little man has a personality plus! He LOVES people and enjoys chasing chickens. He is refined with a gorgeous head- pronouced dish with large eyes and small tippy ears. 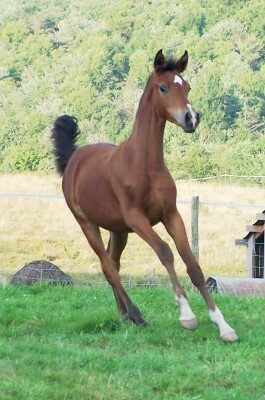 His pedigree is a wonderful blend of Egyptian and Polish with 3X to Khemosabi! 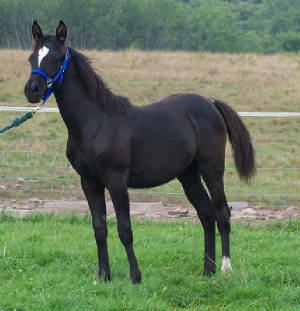 His sire is black and Shady is shedding out a beautiful black-bay and should be able to produce black. He is for sale so all you Khemo lovers take note. For Sale- see Sale Page 1. 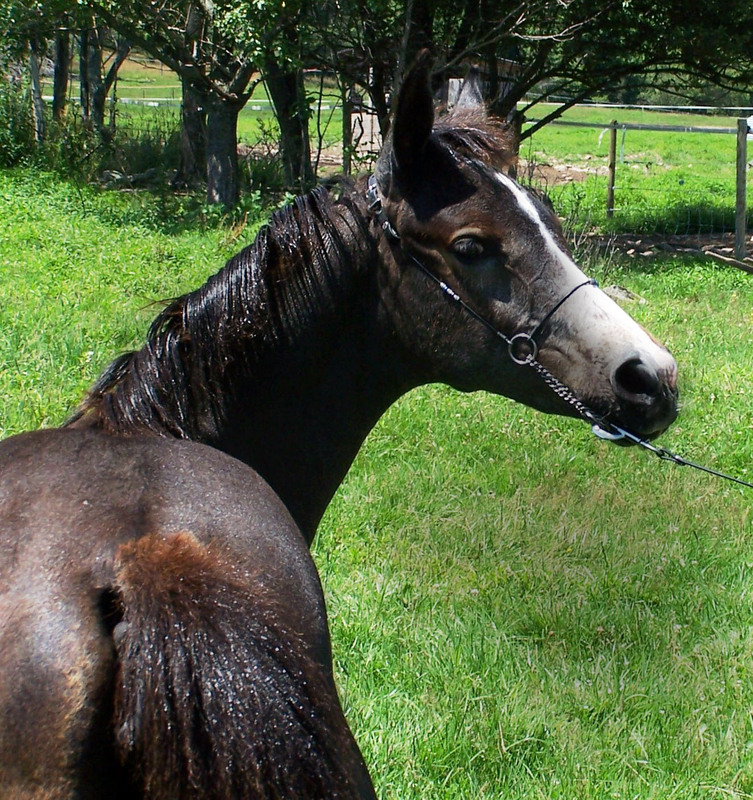 Click his photo to visit his page for more photos, pedigree and information. Born September 12, 2005,(Magnum Spatz-Sophiras Amulette) Second foal but first purebred sired by Spatz out of our beloved Amulette. He is everything we could have hoped for- except he's not a filly! He has a gorgeous head, long neck, level topline with a great hip and man does this kid have some legs! 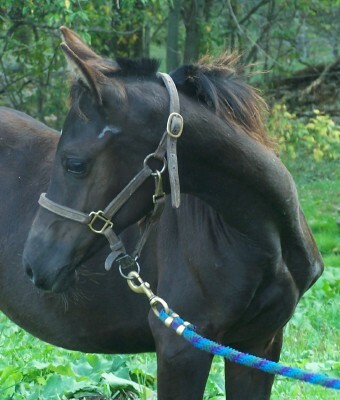 He looks like he will definitley be a halter canidate with a performance future as well. Region 16 Futurity nominated. SOLD. Photo at 23 mos old. 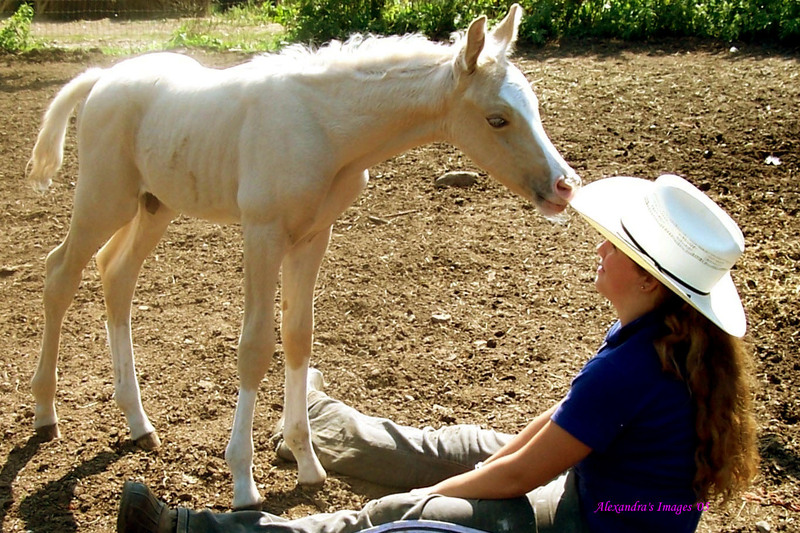 Born September 9, 2005-(Magnum Spatz-The Golden Rocket) This stunning minimal Sabino palomino colt is the first born of Magnum Spatz and a maternal brother to the beautiful Elaan. He is almost perfectly marked with an even blaze, lower lip white and three high stockings. He has a gorgeous head with huge eyes and a teacup muzzle. He looks like he will have a long neck and wonderful conformation as well. He is very friendly and ready to take on the world! Keep an eye on this one- he's going places! Region 16 and East Coast Championship Futurity nominated. Offered for Sale $2000.00.